The quanta of waves produced by collective effects of large numbers of electrons in matter when the electrons are disturbed from equilibrium. Metals provide the best evidence of plasmons, because they have a high density of electrons free to move. The results of plasmon stimulation are seen in the illustration. The graph shows the probability of energy losses by fast electrons transmitted through a thin aluminum foil. The number of detected electrons in a beam is plotted against their energy loss during transit through the foil. Each energy-loss peak corresponds to excitation of one or more plasmons. Within experimental error, the peaks occur at integral multiples of a fundamental loss. Further evidence is the fact that the areas under the peaks (a measure of the energy-loss probability) follow a Poisson distribution. The plasmon energy for most metals corresponds to that of an ultraviolet photon. However, for silver, gold, the alkali metals, and a few other materials, the plasmon energy is sufficiently low to correspond to that of a visible or near-ultraviolet photon. This means there is a possibility of exciting plasmons by light. If plasmons are confined upon a surface, optical effects can be easily observed. In this case, the quanta are called surface plasmons, and they have the bulk plasmon energy as an upper energy limit. Surface plasmons were first proposed to explain energy losses by electrons reflected from metal surfaces. Since then, numerous experiments have involved coupling photons to surface plasmons. Potential applications extend to new light sources, solar cells, holography, Raman spectroscopy, and microscopy. the totality of extranuclear (nonchromosomal) factors of heredity concentrated in the cytoplasm of a cell. Plasmon consists of discrete units known as plasmagenes. The extra-chromosomal gene in plants was first described in 1908 by the German botanist K. Correns. Cytoplasmic inheritance of characters is characterized by absence of regular Mendelian segregation in successive generations and by transmission predominantly through the maternal line. Plasmagenes are localized in self-reproducing organoids of the cell: mitochondria, plastids (including chloroplasts), and, possibly, kinetosomes and centrioles. They may exist in ordinary and mutant form, influencing various characters of the cell. In cases investigated, desoxyribonucleic acids serve as the material carriers of cytoplasmic inheritance. the quantum of plasma or solid-state plasma density oscillations accompanied by longitudinal electric field oscillations. The plasmon is a quasiparticle. Its energy ℇ is approximately equal to ℏωL, where is the angular plasma (Langmuir) frequency, ℏ is Planck’s constant, η is the number of charged particles per unit volume, and e and m are the charge and mass of the particles. The energy of a plasmon is determined from the characteristic energy losses sustained by electrons in metals: electrons passing through the plate expend energy on the excitation of plasma oscillations, that is, on the “creation” of plasmons. Another method of determining the energy of a plasmon is analysis of the light spectrum emitted by plasmons. The cytoplasmic genetic system in eukaryotes consisting primarily of mitochondrial deoxyribonucleic acid (DNA) and chloroplast DNA. 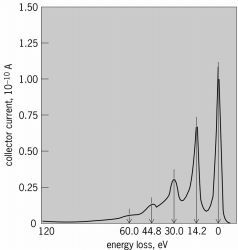 A quantum of a collective longitudinal wave in the electron gas of a solid. A quantum of plasma. A plasmon is the gas particle equivalent of a photon, which is a light particle. Surface plasmons, which reside on the surface of materials, are expected to yield terahertz transmission speeds within electronic circuits some day. See photon. At each stage, Plasmon helps the organization determine their goals and makes it easier for them to achieve those goals with fewer, unforeseen complications by leveraging proven, repeatable procedures. The Plasmon archival solution was installed within an hour's timeframe and has performed flawlessly since the day it was implemented. For more than twenty years Plasmon has been the trusted source for professional archive solutions with demanding commercial and public sector organizations worldwide. The phenomenon of plasmon generation occurs at the silica (background) -gold interface and SP modes are fashioned due the coupling of light from the silica core to the gold nano-wire. The surface plasmon phenomenon requires a precisely-controlled geometry (plasmonic structure) in the sub-micron to nano order range. At same polarization state and frequency, the propagation constant of surface plasmon is greater than the light wave in dielectric media. Therefore, in prolate spheroids ([chi] > 2), the plasmon resonance red-shifts with respect to a sphere, because for longer wavelengths the real part of [[epsilon]. This variation is under the form of a measurable refraction angle which value depends on the intensity of surface plasmon resonance. In conjunction with the Pegasus software tools, the Plasmon hardware will offer a next-generation, write-once data protection solution for Microsoft environments in a revision secure archive. It is particularly interesting that their surface-plasmon enhanced Raman sensor was able to distinguish between different molecules since the Raman enhancement is not only determined by the presence of the molecular electronic resonances, but also by the frequencies of the surface plasmon resonances. Plasmon offers UDO libraries, drives and media through distribution channel partners, system integrators and other OEMs. It has developed a product jointly with British company Plasmon for the past 18 months.